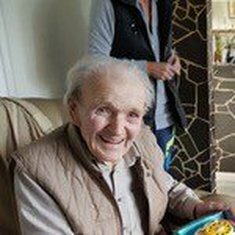 In loving memory of Lawrence Bernard Williams who sadly passed away on 13th March 2018 peacefully at Wrexham Maelor Hospital, aged 85 years and of Coedpoeth. 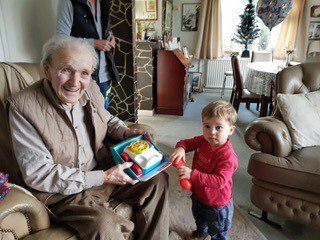 The much loved husband of Margaret (Tosie), loving father of Chris and Zandra, dear father in law of Clare and Bob, adored grandfather of Samantha, Emma, Adam,Thomas, Heather, Megan and great grandsons Jack and Alfie. No flowers by request please, donations may be given in memory. All enquiries please to the funeral directors.